An accessible look at the art of investing and how to adopt the practices of top professionals. What differentiates the highly successful market practitioners—the Market Wizards—from ordinary traders? What traits do they share? What lessons can the average trader learn from those who achieved superior returns for decades while still maintaining strict risk control? Jack Schwager has spent the past 25 years interviewing the market legends in search of the answers—a quest chronicled in four prior Market Wizards volumes totalling nearly 2, 000 pages. 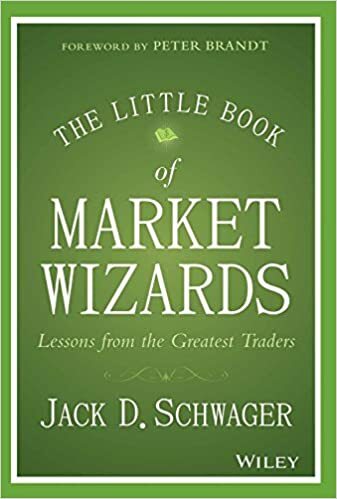 In The Little Book of Market Wizards, Jack Schwager seeks to distill what he considers the essential lessons he learned in conducting nearly four dozen interviews with some of the world's best traders. The book delves into the mind-set and processes of highly successful traders, providing insights that all traders should find helpful in improving their trading skills and results.